One of the most memorable lines from the ’70s sitcom What’s Happening came from Raj’s bratty little sister, Dee. 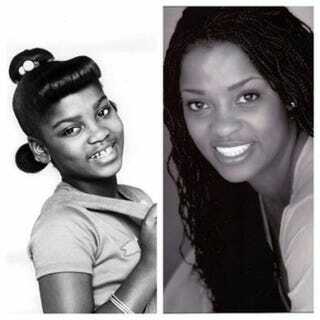 In at least every episode, Dee, played by Danielle Spencer, had her “Ooh, I’m gonna tell Momma” moment. What’s Happening had a successful run and even a spinoff called What’s Happening Now, but Spencer stepped away from the spotlight to focus on her education and career. She attended Tuskegee University, where she majored in veterinary science, and then became a veterinarian. Her career had her focusing on the health of animals, but now she’s focusing on her own. The injury Spencer referred to is from a car accident during her time on What’s Happening, which affected her 26 years later and caused her to have a bout with paralysis. Although Spencer was diagnosed with cancer a month ago, she is also focusing on the positive. Recently she became the only child star to be inducted into the Smithsonian’s National Museum of African American History and Culture. As part of her induction, when the museum opens in 2015, she will be included in the permanent exhibition of the museum.